For those operating in the hotel industry, maximising revenue is a top priority, and achieving this goal often requires the right pricing strategy, at the right time. In fact, making room rate adjustments based on demand, customer segmentation and other factors can be the key to overall business success. In this article, we offer insight into 10 pricing strategies that hotels can adopt in their revenue management strategy in order to increase the amount of revenue they generate. The single most important pricing strategy for hotels to master is the use of forecasting to set their prices based on anticipated demand. Essentially, this should mean that the hotel room rate being charged will depend on how high demand is. For instance, times of high demand may lead to higher room rates, in order to maximise revenue. A robust forecasting strategy relies upon accurate records being kept, with historical data – such as occupancy, revenue, room rates and average spend per room – proving particularly useful. In addition, it is important to make use of data that is already in the books, such as reservations, as well as any wider market trends. This data can then be used to make pricing decisions. So, if your hotel has historically experienced low demand in January, there are strategic considerations associated with that. As an example, you could consider lowering prices in January to try to build demand, or you could raise prices, to get more out of the smaller customer base. Further information and some top tips related to forecasting can be found in the article “Forecasting Tips to Improve Your Revenue Management Strategy”. In simple terms, a rate parity strategy involves maintaining consistent rates for the same product, across all online distribution channels. 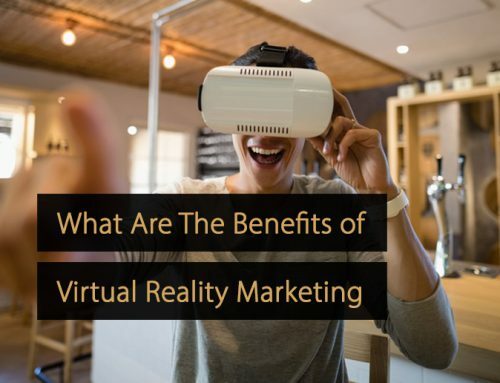 The key benefit of this is that it provides transparency for consumers, while it is also often a prerequisite of advertising rooms through online travel agents, such as Expedia and Booking.com. The primary challenge of this is the fact that OTAs charge commission, and paying this while charging a low rate can eat into the revenue you would have earned through direct bookings. However, direct bookings can be stimulated in ways aside from simple room rate adjustments, as we will cover later in this article. One of the most commonly used pricing strategies for those in the hotel industry is price per segment, and this is where you offer the same product at different prices to different types of customers. While “open market” prices should be subject to a rate parity strategy, prices for corporate segments could be lower, especially if they commit to a certain number of rooms, or a certain number of meals. Another option would be to sell multiple rooms to travel agents for a lower rate, so the travel agent can include the rooms in packages. Although a price parity strategy may prohibit some of the pricing incentives that can stimulate direct bookings, one highly effective strategy involves the use of discount codes to encourage future direct bookings. So, when a guest visits your hotel or property after booking through a third party, you could offer them a discount code for any future direct bookings they make with you. This has the dual benefit of encouraging repeat business and encouraging them to book directly if they opt to stay in your hotel again in the future. Another solid option for those in the hotel industry attempting to maximise revenue is to create packages, allowing customers to pay for more than just a room. Additional items, services or products that may feature in a package deal include meals, bicycles, access to golf courses and equipment, and so on. With packages, the actual room rate may be lower than the equivalent rate for an identical room on its own. However, your hotel will be able to sell more products at the same time. As the name implies, a length of stay strategy is based around adjusting pricing based on the length of the stay. In some instances, such as when demand outweighs supply, it can be beneficial to implement a rule where guests are ‘obligated’ to stay a minimum number of days. In such cases, lower rates may not always be necessary. On the other hand, when demand is lower, you can potentially encourage guests to stay longer by offering them a lower rate if they stay for multiple days, resulting in fewer unused rooms overall. The cancellation policy of a hotel can also factor into a pricing strategy and help to increase revenue. For instance, one option is to charge a lower rate on the condition that a guest cannot receive a refund in the event that they cancel the room, while higher rates are charged when guests have greater flexibility with cancellations. This can be of particular value in hotels with high demand. By charging lower rates, in exchange for no refunds, busy hotels can benefit from effectively being able to sell the same room twice in the event of a cancellation. The basic principle of upselling involves encouraging customers to spend more on their existing purchase or booking, and it is a vital component of any effective hotel revenue management strategy within the hotel industry. It may mean encouraging a guest to upgrade to a better room, or pay a higher room rate for a more desirable view. It could also mean persuading them to pay more for a king size bed. Upselling is often most successful during the booking process, so it can be beneficial to promote upgrade options while guests are making their choices. Cross selling is a similar concept to upselling, but rather than encouraging customers to spend more on an existing purchase, it involves encouraging customers to make additional purchases on top of the one(s) already made. Within the hotel industry, this will typically refer to additional services, such as local tours, massages, or gym services. Generally, cross selling is most effective after the initial booking has been made, but before the guest actually arrives. For this reason, it is often best achieved through promotional emails. Finally, better reviews are likely to result in improved conversion rates. Meanwhile, guests are also usually willing to spend more on rooms in hotels with positive reviews, because they can have greater confidence in their choice. Indeed, when two hotels offer a similar product, the one with superior reviews will often be chosen by customers. For this reason, to maximise revenue, it is important to have a comprehensive review management strategy in place. This will likely mean striving to deliver an excellent customer experience, encouraging guests to leave reviews, and responding swiftly and competently to reviews and feedback posted on social media sites. 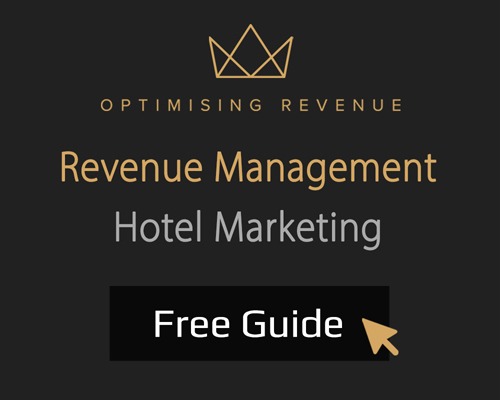 Maximising revenue in the hotel industry relies on the implementation of the right pricing strategies, which is an important part of your revenue management strategy. Typically, this requires the use of forecasting to understand and anticipate demand, as well as a willingness to adjust room rates strategically, make use of cross selling and upselling techniques, and manage online customer feedback.